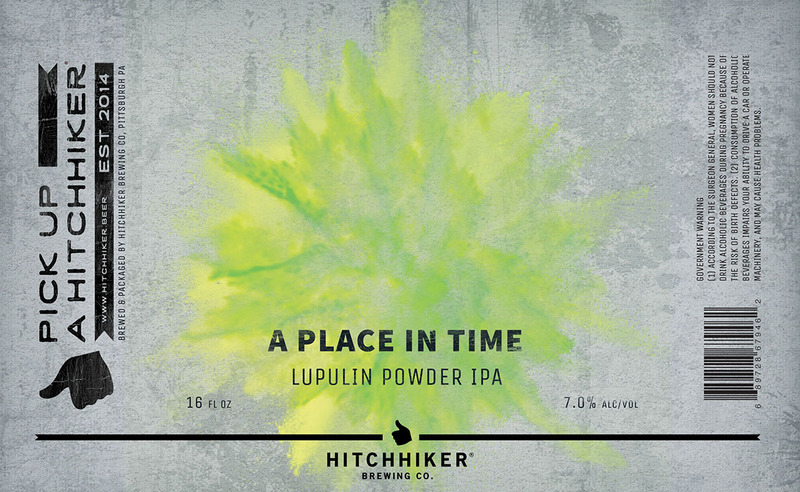 A Place In Time | Hitchhiker Brewing Co. Brewed with oats. Hopped with Mosaic and Simcoe lupulin powder. Notes of tangerine, pine, mango, and blueberry.